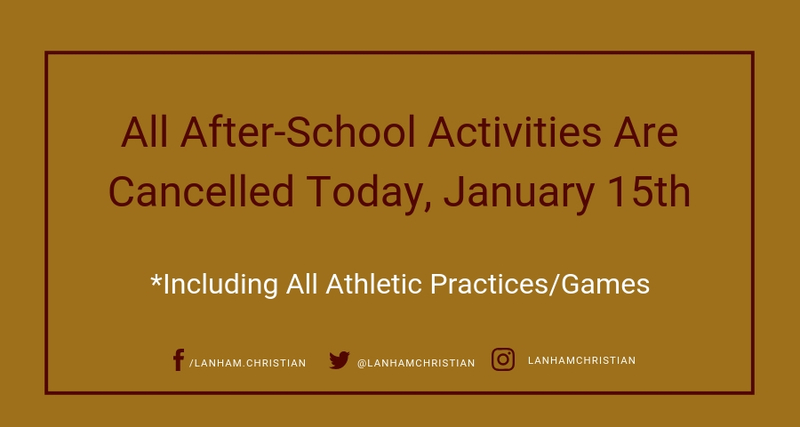 Due to hazardous travel conditions and keeping with our policy to follow PGCPS, all after school activities (including all athletics) will be canceled today, Tuesday, January 15, 2019. School will close at 3:00 pm. Aftercare will be provided until 4:30 pm.